Alabama and Nick Saban are on top of the college football world again! 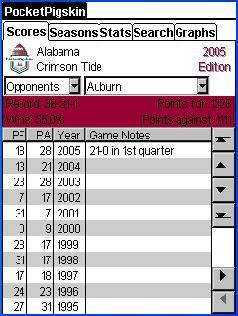 Compare your team's performance against the biggest rivals, and each opponent ever played. 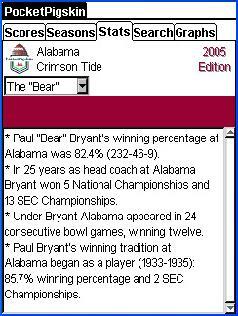 The team-specific extra section for Alabama highlights Paul "Bear" Bryant's tenure as the Crimson Tide head coach.